It’s Halloween. Mind your neck, beware the Dullahan. Happy Halloween, everybody! May it be a spooky and outstanding day for everyone. 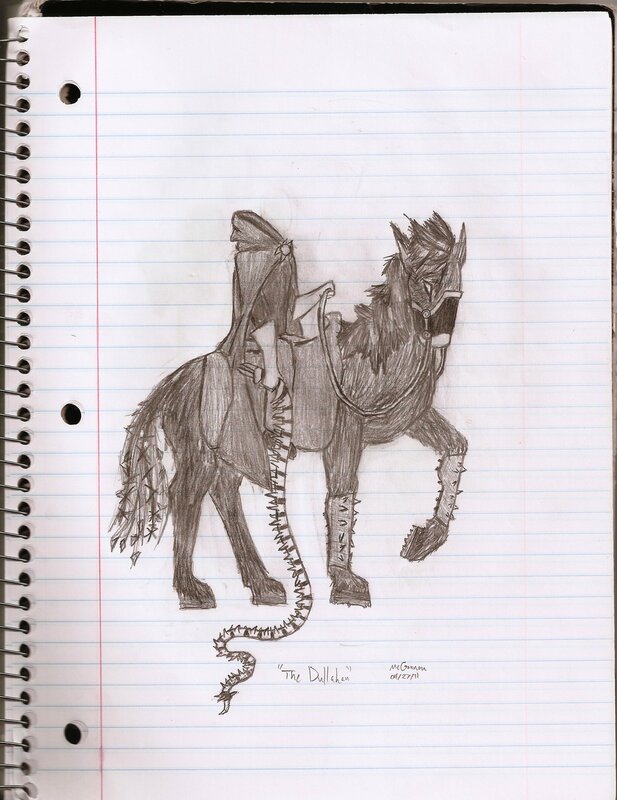 So I was having trouble deciding what monster would be worthy of posting for the last day of the countdown (Halloween Day itself), when I remembered a drawing I did a while back. It’s not my best work, but it is one of my favorite monsters and a sketch I’ve been meaning to put up anyways. Meet the Dullahan, the spine-whip wielding headless horseman from Irish folklore, inspiration of that decapitated horror that haunted dear Ichabod Crane and the rest of Sleepy Hollow. A fitting spirit for such a day as today. Enter your email to subscribe to Wyvern's Peak. Your email will not be shared!